Steel Hex Fence Kits conveniently bundle everything you need to install a virtually invisible fence enclosure around your home and landscape for protection against deer and rodents. These virtually invisible metal deer fence kits make the DIY project quick and easy for anyone who has never installed yard fencing. Steel Hex Web is the bestselling metal deer fence for sale on Deerbusters.com. Each steel hex fence kit includes a roll of our virtually invisible steel hex fence or HEXA-GONE fence rolls, black sleeved line posts and more. The best part of choosing steel hex for deer and rodent protection is that it is chew-proof, dig-proof, and weather-proof, so it will last in your yard or field for up to 20 years. 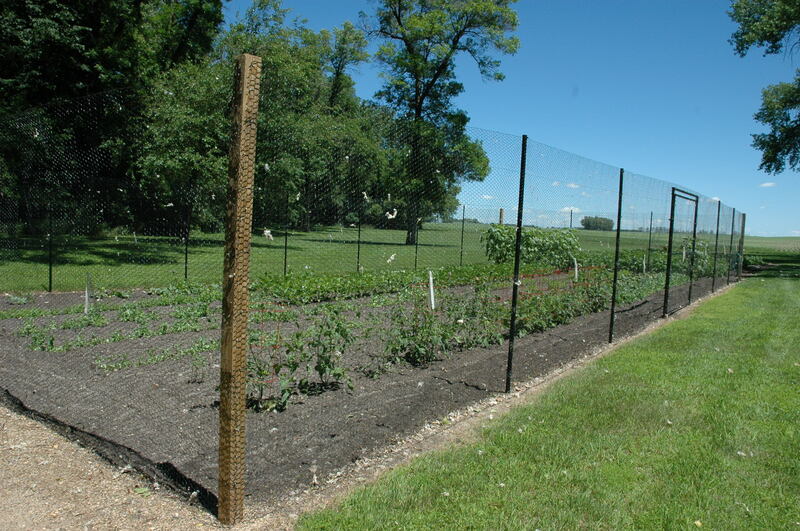 Shop Steel Hex Web Fence Kits for garden protection against deer, rabbits, squirrels and other small critters.